Company Seven's staff will be your primary source of information regarding products and prices, estimated delivery dates and the status of your order for those orders placed directly with Company Seven. Your support makes resources such as this Internet Site possible. If we can be of assistance to you in any way, please call or send E-Mail to Company Seven. 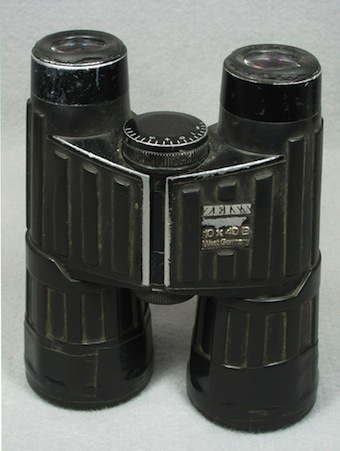 Right: abuse and neglect - a Carl Zeiss 10x 40 B/GA binocular sold in the mid 1980's shown before and after overhaul at Company Seven. Covering, eyecups, objective and eye lenses were replaced. When you receive your order, it will become obvious that a great deal of care was also given to the safe packing of each item. It is very rare that any component is damaged during transit. Click HERE to learn how to order products from Company Seven.